Can I download and test Odoo before ask for your services? Yes of course. We encourage you to download it and use it. You can download it now at http://www.odoo.co.th/downloads You even can use it in production environment. Be aware the installation might require basic computer knowledge. Does Open Source mean free? Yes and no. Odoo is free, you can download and use it, you can modify it, adapt it. You cannot sell it. But services around Odoo is not free. In order to get a good installation and perfect integration you would have to spend hundreds of hours to study and customize Odoo. Frontware has the knowledge and the staff to do it for you for a fraction of expensive commercial ERP solutions (SAP, Oracle, Sage,...). I want to see a demo to be sure it match my needs. Can you do that? We organize monthly presentation in our offices. You can register to it and come to see us. It's free of course. See all details of Odoo coming events. If you prefer a private session we can come to your office to present you Odoo. Contact our sale manager here. Are you certified to propose these services? Yes of course we are an Odoo ready partner, our staffs has been trained by Odoo engineers. Do you use a specific methodology to facilitate the ERP integration? Yes we do, and we insist to customer to use it. It's very efficient. 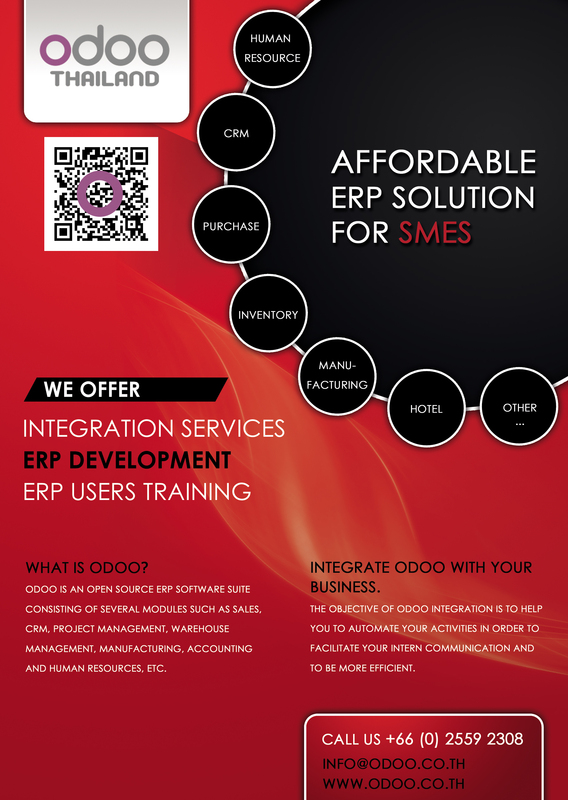 See the Odoo methodology details here. Our budget is very short. We do not require specific integration but just need to get Odoo installed and staff trained for basic operation. Do you have a solution? Yes, we do. We have specific package for SME with short budget.